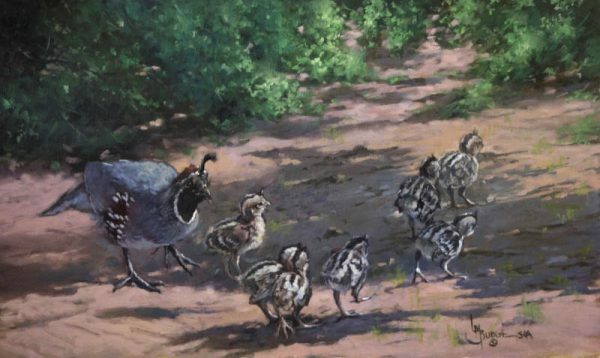 One of my favorite themes, quail keeping tract of their babies. 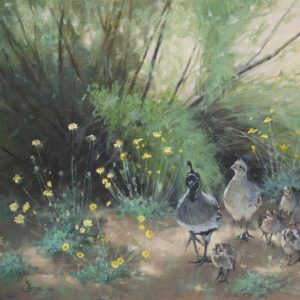 Gambles’ Quail are such family oriented birds. After being hatched, the parents keep a wary eye on their youngsters while teaching them to look for seeds and insects. Often times, one of the parents is posted on a nearby rock or bush looking for predators. 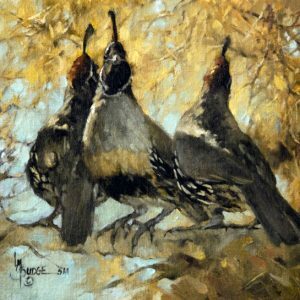 This painting was juried into Artist’s for Conservation annual juried art show, an international exhibit of nature and art. 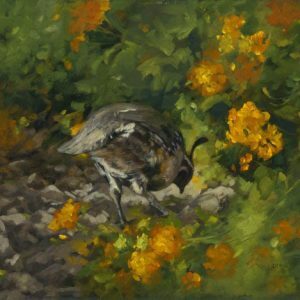 Of the 200 pieces juried in, “Promise of Spring” was one of 90 pieces selected for the exhibit. 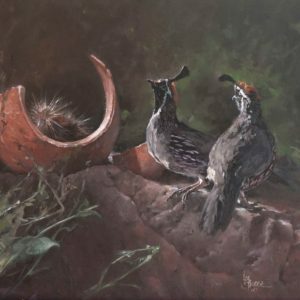 This is the world’s top conservation themed art exhibit and sale, held at the Vancouver Convention Center, Vancouver, B.C. The AFC exhibit tour at the Arizona-Sonora Desert Museum came to a close on November 25th. Plans are being made to send this exhibit on to Beijing China.